We are manufacturers & exporters of Electrical test equipments from India. Our high quality Electrical test equipments contains products like Comparative Tracking Index Tester, Dry Arc Resistance Tester, Glow Wire Test Apparatus & Needle Flame Test Apparatus. the ctit -01 indicates the relative behsvior of solid electrical insulaerial whit regard to their susceptibstive to surface when exposed under electric stress , to waer and other ,environmental contaminants . This test also referred in many other standards such as is 2824-1975,iec 60335. 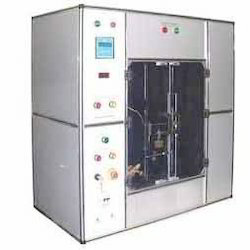 Glow wire test apparatus is designed and developed to test resistance to flammability of any material. It is checked on the parameter of IEC 60695-2-10 2000-10. Our glow wire test apparatus consists of a nichrome glow wire of 4 mm diameter. 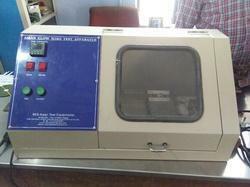 This glow wire test apparatus is available in varied technical specifications. 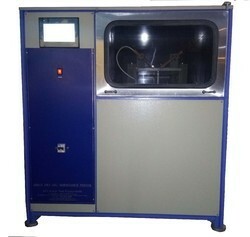 This glow wire test apparatus is available in different models and specifications to meet the needs of the application. UL 746 A “Testing for electrical properties.” This product is meant for all insulator/ polymer/ electro plastic manufacturers and appliance manufacturers that use insulators in their products. The product is compact and can be mounted on a table. 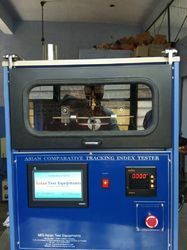 It comes with an inbuilt legacy microcontroller module to conduct the test sequence exactly as per the ASTM table. The program has the voltage and current calibration facility. In addition, the test voltage can be adjusted using a variable auto transformer for any value till 12.5 kV. The micro controller displays the fail result as to the number of seconds the sample has withstood or declares the sample as pass. Other safety features include zero interlock facility and door open indication and control for user safety making the product a state of an art one. Glow Wire Test Apparatus : - is designed to carry out fire hazard testing specified in iec 60695-2-10 2000-10. Flammability test is to check the resistance to fire of electrical insulators that touch directly conducting part & of insulators testing with regard to fir hazards can be done by creating exactly the conditinos occurring in practice . However this is not possible in most instances. Hence for this test the actual conditions are simulated as closely as per possible by the wire tester this tester is also refrred in mony standards such as is 1100,is 3854:1997/is 1293:1988/is 371:1999 pt 2sec,iec 884/94,iec 60598,iec60598,iec 61058, bs 6458,bs en 60695-2,11,12. 1. Plc to control the seqeunce of operation and display the test result. 2. Ball screw type sliding mevhanism for vertical and horizntal movement . 3. Enclosure with 0. 5 cubic meter internal volume . 6. Test time in second . 8. Odservation of test from outside from mirror . 11. Timing device to lerance not more then 0. 5 s.